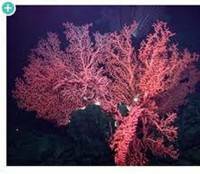 Scientists conducting mapping surveys on the Great Barrier Reef have come across deep-sea corals at depths that surprise researchers. A team from the University of Queensland's Seaview Survey announced the unprecedented discovery 125 meters (410 feet) below the surface at Ribbon Reef, near the Torres Strait and at the edge of the Australian continental shelf. 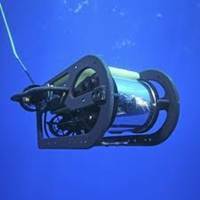 A new exploration by a remote-operated submersible has found the reef's deepest coral yet. 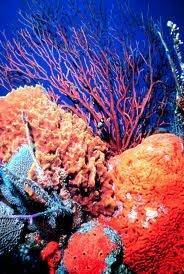 Coral reefs are made of colonies of polyps which secret a rocklike exoskeleton. The polyps have a symbiotic relationship with algae that provide them nutrients using photosynthesis. Because this process requires light, coral reefs thrive in clear, relatively shallow water. An international team of scientists has produced the most accurate assessment of ice losses from Greenland and Antarctica. In a landmark study, published on 30 November in the journal Science, the researchers show that melting of the Antarctic and Greenland ice sheets has contributed 11.1 millimeters to global sea levels since 1992. This amounts to one fifth of all sea-level-rise over the survey period (1992 – present day). Researchers from British Antarctic Survey and the University of Bristol describe how analysis of millions of NASA satellite measurements from both of these vast ice sheets shows that the most profound ice loss is a result of glaciers speeding up where they flow into the sea. In the late nineties a group of scientists planned to maintain a network of 3,000 units, in ice-free areas, providing both real-time data and higher quality delayed mode data and analyses to underpin a new generation ocean and climate models. In 2007 the 3,000 float target was reached and the array has remained above 3,000 floats. The project is known as Argo. Argo floats are gathering profiles of temperature and salinity together with information on subsurface water movement at the rate of 1 profile approximately every 4 minutes, (360 profiles per day or 11,000 per month) and on 4 November 2012 the array passed the symbolic milestone of collecting its 1 millionth profile. Recent studies regarding how deep-sea organisms are impacted by natural and human impacts have focused on oil production and drilling. According to the National Oceanographic and Atmospheric Administration (NOAA), there are 3800 offshore wells in the Gulf of Mexico alone. In the UK there are over 9000 wells at depths greater than 30 meters including 328 deeper than 200 meters. There are major wells around the world that reach a maximum depth of over 3000 meters. Scientists are now trying to decipher the impact this makes on deep-water communities as well as the recovery time needed to rebuild the ecosystem. As they drill the first few hundred meters of the well called the top hole. 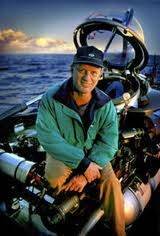 Dr. Robert Ballard the world-renowned underwater archaeologist may have proof of Noah’s biblical flood. He and his team have been exploring the Black Sea for evidence that Noah’s Flood may have been based on real events. In an interview for the Science Recorder Dr. Ballard explains. “Where I live in Connecticut was ice a mile above my house, all the way back to the North Pole, about 15 million kilometers, that’s a big ice cube,” Dr. Ballard explained “But then it started to melt. We’re talking about the floods of our living history.” Dr. Ballard and his team found ancient shoreline 400 feet below the surface proving that an historic flood took place in the Black Sea around approximately 5,000 BC. 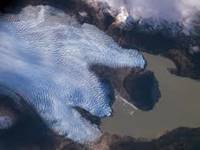 Due to climate change the Gualas Glacier in the Patagonian area of Chile has seen dramatic melting over the past century. Due to climate warming and decreased snowfall to replenish the glacier, it has retreated 5.5 miles over the past 110 years with 1.7 miles just in the past 25 years. The international team has found some interesting information. The scientists extracted a 50-foot-long core of sediments that had settled on the seafloor after being run over by the glacier into a fjord over the past 5,400 years. Researchers analyzed the sizes of particles and the concentrations of chemical elements in the sediments, evidence they used to reconstruct when the glacier had advanced and retreated. British scientists recently began an expedition to search for life in Lake Windermere, a stretch of water in Antarctica. Engineers and scientists set up camp on an ice sheet in West Antarctic. The team will use a sterile hot water drill to bore down to the subglacial Lake Ellsworth and retrieve samples of water and sediments that may have been isolated from the rest of the world for a million years. Scientists are interested to find if life can withstand such harsh conditions. If there were life to be found, it would have evolved in isolation for more than 100,000 years. The answers will further our understanding of life on Earth, and inform searches for life elsewhere in the solar system, such as in the ice-capped ocean of Jupiter's moon Europa. Scientists from 16 countries have begun a new EU funded survey that focuses on marine biodiversity, and the environmental standing of the seas in Europe. The DEVOTES ('Development of innovative tools for understanding marine biodiversity and assessing good environmental status') has clinched almost 9 million EUR in funding under the Environment Theme of the Seventh Framework Program. Led by the Spanish Marine and Food Technological Centre AZTI-Tecnalia, more than 250 scientists from 23 research centers in the EU, Asia and North America are working together to improve our understanding of how marine biodiversity is affected by human activities and global changes. Researchers recently completed a seismic survey around the coast of New Zealand. Nearly 200 underwater fault lines capable of causing devastating tsunamis were discovered. This has brought the total number of known active fault sources in the countries waters to 530. “We have to be prepared for these sorts of marine earthquakes in many New Zealand locations,” National Institute of Water and Atmospheric Research (NIWA) principal scientist Dr Philip Barnes said in a statement. The discoveries were attributed to the addition of newly identified offshore fault sources. Those include previously unknown faults in the bedrock under Pegasus Bay in the Canterbury region. On February 22 2011 an earthquake killed 185 people in the city of Christchurch. Federal officials are studying variable impacts posed by the construction of the nation’s first offshore wind farm off Nantucket, Massachusetts. Studies include fish stocks, water and air quality, airplane and boat navigation, migrating birds and whales, and electric magnetic fields. One major component that needs further study is sound. 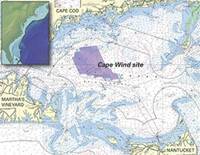 Two scientists from Woods hole Oceanographic Institution (WHOI) is turning their attention to the impacts from the sound made by the wind farm. Sound travels faster and further through water than air. Many animals use sound to perceive their environment. Sounds made by humans influence animals, and loud sounds have a detrimental effect. In March WHOI biologists began recording a 25-square-mile area between Nantucket and Cape Cod. A new study published this week estimates that of the one million species that live in the ocean, as many as two-thirds are unknown. Experts working on an international database have say the world that exists beneath the oceans surface is largely unknown. There are an amazing amount of things, especially in the ocean, that we don’t know in terms of biodiversity,” says Pohle, who spent a decade taking part in an international Census of Marine Life, a decade-long project than concluded in 2010. It was only last year that scientists published research that estimated there are approximately 10 million distinct species on Earth, Pohle said. “It’s staggering to think that, as recently as 2011, we did not know how many species there are in the world by order of magnitude. A study reported this week in the journal Science shows that threatened corals send signals to fish "bodyguards" that quickly respond to trim back the noxious alga -- which can kill the coral if not promptly removed. Scientists at the Georgia Institute of Technology have found evidence that these "mutualistic" fish respond to chemical signals from the coral like a 911 emergency call -- in a matter of minutes. The inch-long fish -- known as gobies -- spend their entire lives in the crevices of specific corals, receiving protection from their own predators while removing threats to the corals. This symbiotic relationship between the fish and the coral on which they live is the first known example of one species chemically signaling a consumer species to remove competitors. Underwater drilling operations were conducted on the Mendeleev Shelf in the Arctic Ocean by the deep-sea nuclear submarine Kalitka. The submarine has been used to make adjustments to drilling operations that were carried out by icebreakers engaged in indentifying the outer bounds of Russia’s continental shelf. The survey yielded over 500 kilograms of classifiable rocks. The objective was to prove that the Mendeleev Ridge belongs to Russia. This data would expand Russia’s Arctic zone. The Mendeleev Ridge and the Lomonosov Ridge have combined oil and gas reserves of more than 5.5 billion tons. While exploring the ridge, three wells at two separate sites were drilled and soil samples collected. Off the coast of Cape Cod Massachusetts and other local areas there has been a recent increase in seal populations. The local fisheries groups have raised concerns and scientists are rushing to document and understand the interactions between the seal populations and fisheries. These and other issues and challenges presented by seal populations have led to the creation of a new effort to improve our understanding of the ecological role of seals in the northeast United States. 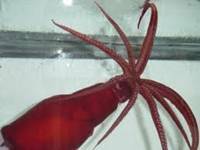 “This encompasses all issues: how they live, where they go, what they eat, their health and illnesses, and interactions with the world—including us—around them,” says Andrea Bogomolni, a Research Associate at the Woods Hole Oceanographic Institution (WHOI). 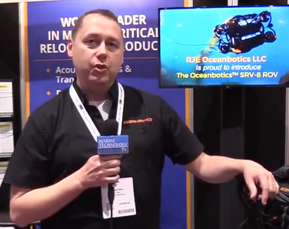 Remotely operated vehicle (ROV) statistics for 2011 have been published by the International Marine Contractors Association (IMCA) as an information note (IMCA R 05/12). The statistics, intended to record personnel and vehicle levels, are collected twice a year in February and August. The 2011 figures show that IMCA members had fewer ROV personnel at work in 2011 than in 2010, and that ROV personnel numbers reported in August 2011 exceeded those in February 2011 by about 25%. In February 2011 a total of 2,410 personnel was reported to be involved in worldwide ROV operations (2373 ROV superintendents, supervisors and pilot techs; and 37 other offshore ROV support personnel) compared with 3,018 in August 2011 (with the breakdown being 2923 and 95). 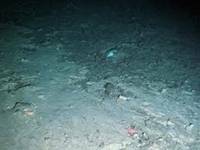 A study published in the scientific journal Marine Pollution Bulletin written by Dr. Malanie Bergmann, a deep-sea biologist at the Alfred Wegener Institute for Polar and Marine Research found higher levels of pollution observed at the AWI deep-sea observatory HAUSGARTEN. 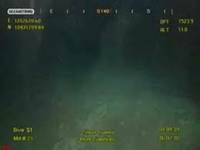 For this study Dr. Melanie Bergmann examined some 2100 seafloor photographs taken near HAUSGARTEN, the deep-sea observatory of the Alfred Wegener Institute in the eastern Fram Strait. This is the sea route between Greenland and the Norwegian island Spitsbergen. The deep-sea scientists from the HGF-MPG Group for Deep-Sea Ecology and Technology of the Alfred Wegener Institute regularly deploy their towed camera system OFOS (Ocean Floor Observation System) during Polarstern expeditions to the HAUSGARTEN. The University of Delaware has been engaged in an innovative project using a specially equipped glider called the Oceanographic Telemetry Identification Sensor (OTIS) to follow sand tiger sharks that were previously tagged with transmitters. The glider has found tagged sharks and reported their location in real time. OTIS is a remote-controlled device that looks like a yellow torpedo and normally darts through the ocean to sample water conditions. Oliver outfitted the apparatus with acoustic receivers that can recognize signals given off by the sharks' transmitters as they travel through coastal waters, rapidly reporting the encounters. The technology allows the course of OTIS to be changed to follow the sharks and test the water surrounding them. Sharks were initially found on Oct.